Prior to writing this, I should make clear that this is not a sponsored post. I bought this device to organise my travel photographs and therefore thought it worthy of blogging a review. I received my Monument photo archiving device recently. Having now had it around a week, I thought it might be useful to get out a few words about a device which could prove useful to many regular travellers. The Monument markets itself as a complete photo storage solution and so when I first saw it as a sponsored post on Facebook months ago it caught my interest. The device itself was in the middle of a Kickstarter campaign at the time and having funded one or two disappointing ‘innovations’ on the site before (I’m still waiting for BetterBack to correct my posture) I approached it with caution. 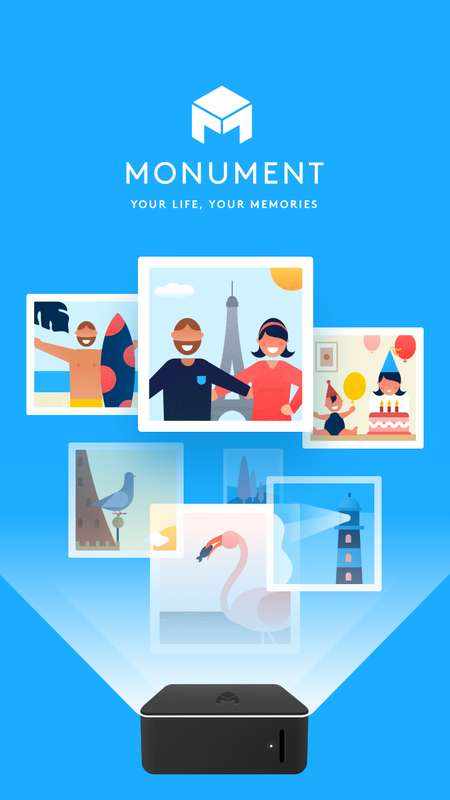 Monument would, the developers claimed, not only allow me to store all of my photographs in one place but also automate the process AND organise my collection for me. This sounded like just the sort of thing we needed. The last few years have seen both of our children born, a relocation to the Middle East followed by a move to China and countless holidays and adventures at home and overseas. All of the memories from these events were lying around forgotten on various old phones and iPads or hidden in drawers on old SD cards that were in various states of ill repair. A device that could pull all of this together for us AND organise it would be a God-send. I took out my credit card. Like most things on Kickstarter, the initial backing is followed by a period of waiting and updating whilst the product is developed, tested and eventually distributed. From backing to receiving my device, about 10 months passed. This wasn’t helped by China Post who decided to extend my wait by keeping the device at customs and charging a tax bill that neither I, nor the people at Monument, expected. C’est la vie, the device had arrived. Out of the box, the Monument is a good looking device. 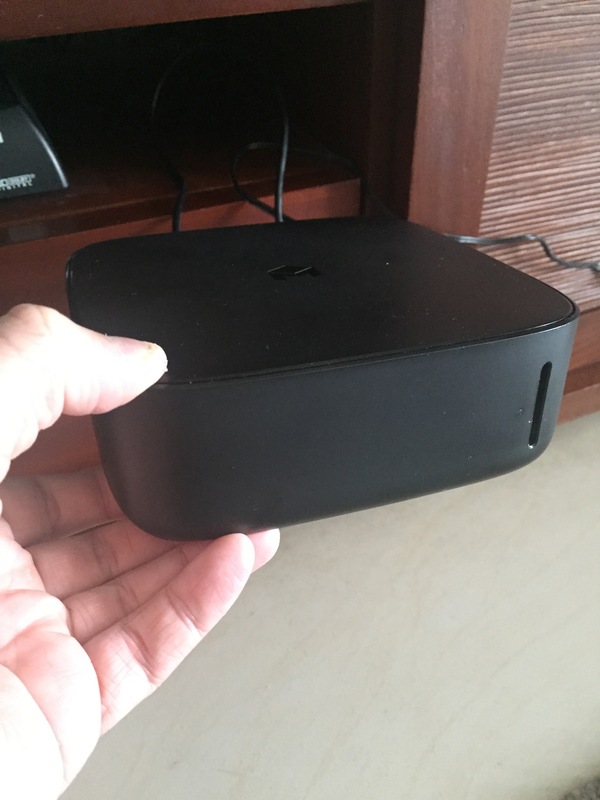 Slightly bigger than an Apple TV box, the majority of the plastic enclosure is left empty to accommodate storage for up to two external hard drives. The device itself has no in-built storage and so you can customise capacity based on needs and how much you’re willing to spend. Set-up promised to be simple. Plug it in, download the app, upload photos. So that’s exactly what I did. Once the device was plugged in and the app was downloaded on my iPad, the device prompted me to attach it to a TV or monitor for set-up using an HDMI cable. I returned to the box to grab the HDMI cable to do this but sadly one was not provided. Strange, given that the app says this is an essential piece of equipment for set-up. Monument advertises a lot of amazing features. 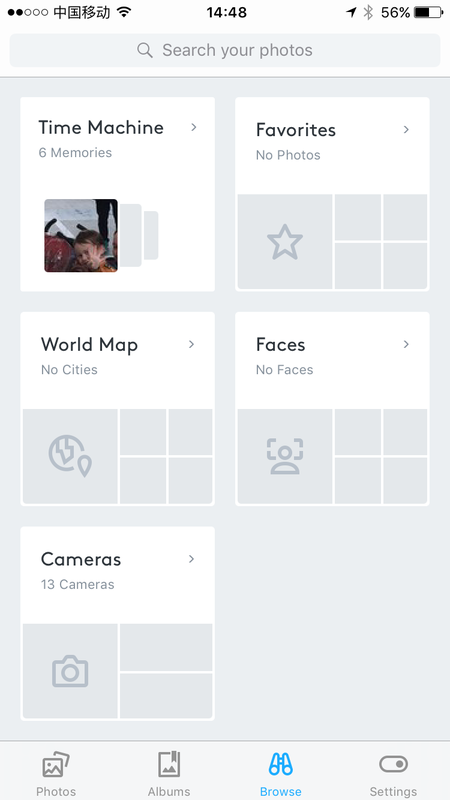 Automatic facial recognition, the ability to sync pictures automatically, a Timehop style ‘This day in history’ feature and, my personal favourite, a world map which geographically organises your photographs. This was what had me sold on the device. The world map in particular was what made me reach for my wallet. Having finished the firmware update, the TV showed a generic ‘Monument’ screen saver and nothing else, but the app seemed ready to go so I selected some photographs from my iPad and uploaded them as a test batch. 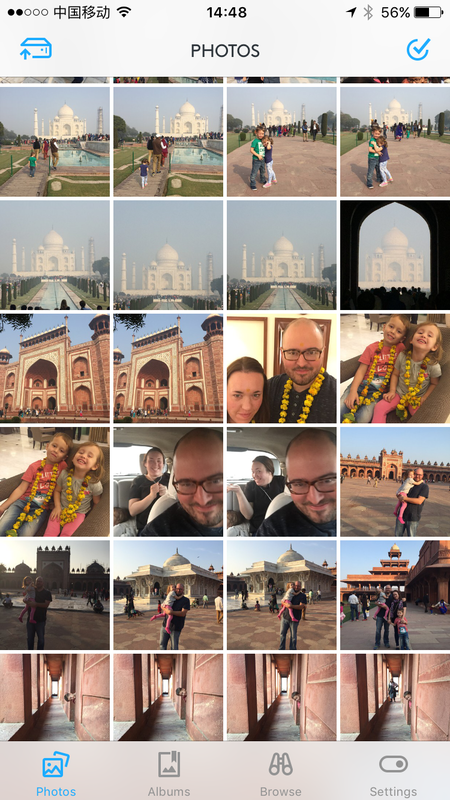 The upload, via Bluetooth, was quick and was followed by an ‘analysing photographs’ message before the pictures started to appear one by one on the app. Excellent. These pictures were now available on any device with the Monument app in Bluetooth range of the device. Next I tried an old SD card that had been left forgotten in a camera for the last few years. Putting it into the SD card slot prompted a message on the app that asked if I’d like to upload the pictures and another 3000 pictures were on their way onto the device. Once the pictures had been uploaded and analysed, I decided to try out the organisational features. To my knowledge there were now pictures from the UK, Kuwait, China, USA, Sri Lanka, India, Malaysia and lots more on the device. More than enough to make the world map feature a useful tool. Here then is the major disappointment with Monument at the moment. The features just aren’t there. My world map shows zero locations. Zero faces have been recognised and short of knowing which camera was used to take the picture, there are no other ways of finding or organising pictures. Looking into this further, it seems the device was shipped minus a lot of features with the promise that these would be added later through firmware and software updates. The developers website does have a calendar of when these will be rolled out but even features that have already been rolled out (including my eagerly anticipated world map) just don’t work on my device. Currently it works very well as an alternative to storing pictures with a Cloud service and the ease with which you can transfer your pictures alone makes the Kickstarter price worthwhile. But I would be incredibly disappointed if the promised features didn’t appear sooner or later. It’s nice to sit with my iPad scrolling through photographs from years ago that I had forgotten about and there’s a certain sense of satisfaction in having all of your pictures in one place. For that, I’m still pleased with my purchase. I do wonder where the other features are though. Especially the ones that the developers say have already been rolled out. Edit: I took some extra photographs with my DSLR camera today and inserted the same SD card I had previously used into the device. Doing this, I discovered that the device proceeds to upload all 3000+ photographs again instead of just recognising the new ones. I’d be very curious to see how you’d review the device a year later. Do you see improvements? Were they worth the wait? Do you still use it? Thanks for the insight into your experience. How did you manage the setup in detail? Setup took a couple of days because the firmware took so long to update. I remember the device would download the first, smaller update file and then restart only to get stuck partway through downloading the second file and then start the process again. As I say in the review, I had to leave the device on for the better part of 24 hours before it was able to update and start-up. The device is now in a drawer. Regular issues with updating meant that it was frequently out of action. When it worked it was a nice device but I found it to be inconsistent – it lacked ‘polish’. I had originally thought the update issue was to do with the internet in China but I also took the device to the UK and Qatar and had the same issues. With that said, I only have experience with my individual unit, which was purchased with the original batch on Kickstarter and hasn’t been used in 12 months so my experience with Monument overall is very, very limited.